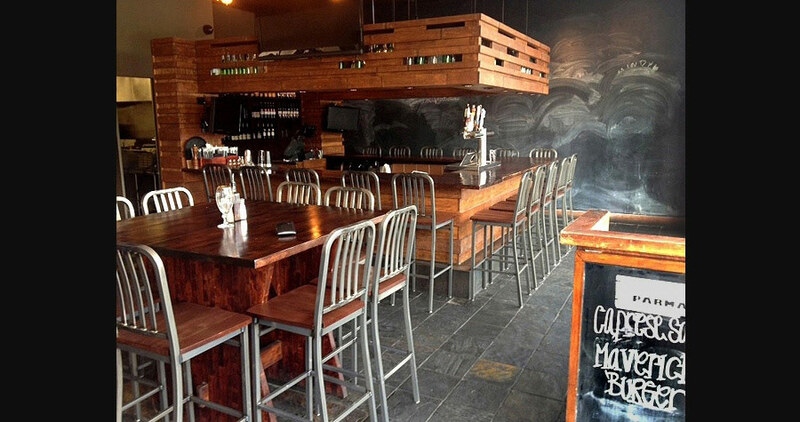 THE ONLY PLACE TO SIT In the Moderne restaurant dining room, bar or employee cafeteria. 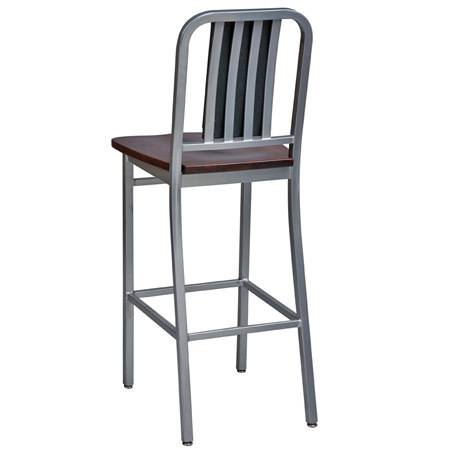 Our heavy duty powdercoated Steel Deco Style Barstools with wood seats are all welded construction, assembled in the United States. 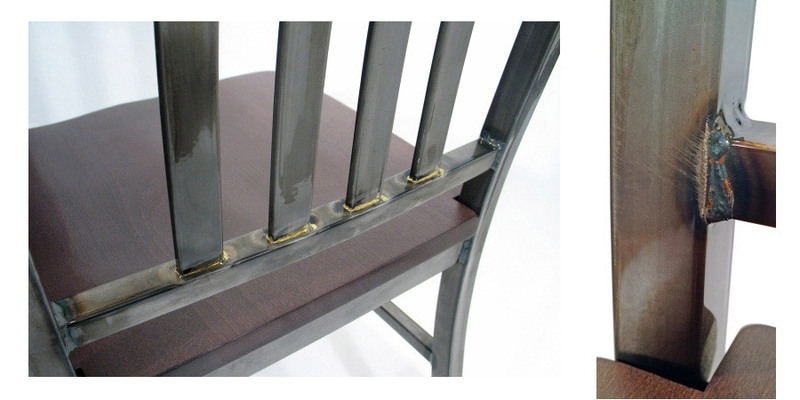 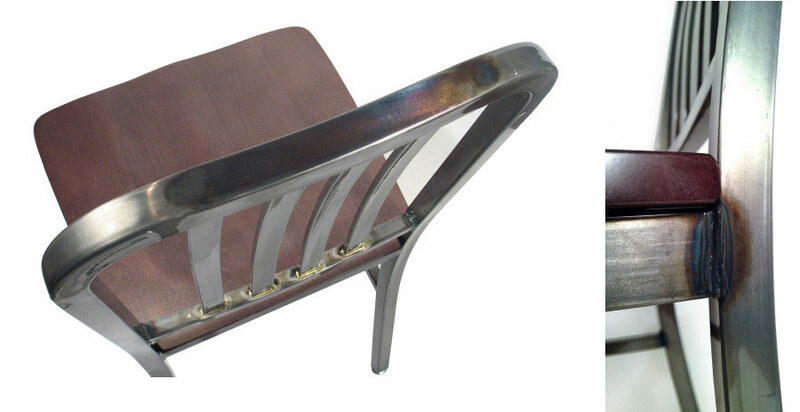 Matching Deco Steel Restaurant Chairs are also available. 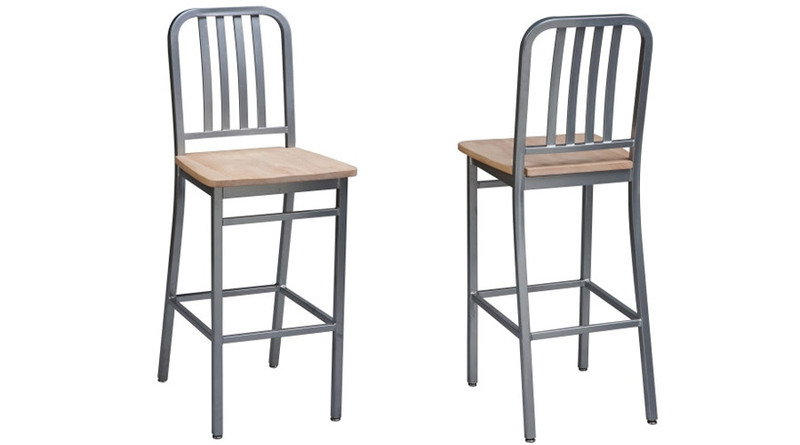 Some Deco Style Steel Barstools are shown below in exciting, industrial look optional clearcoat finish. 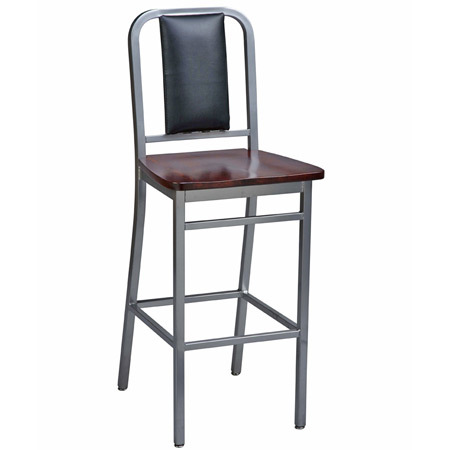 Deco Steel Barstool With Wood Seat Also Available With An Upholstered Back.